Our business centers offer you an all inclusive package for the organization of your meetings, trainings and seminars for 10 participants onwards. All our technical services are also included. Our offer meeting room package! Contact our sales team for a quote of our all inclusive meeting room package in our Emergence business center in Paris Opera! Summer prices on Emergence Meeting rooms! 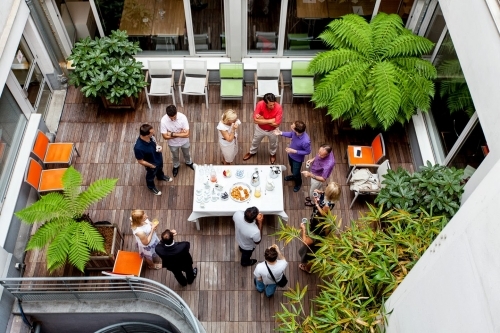 Book rignt now and benefit from the patio in the very heart of Paris with all services of a hign quality business center, we will help you create your custom-made event! 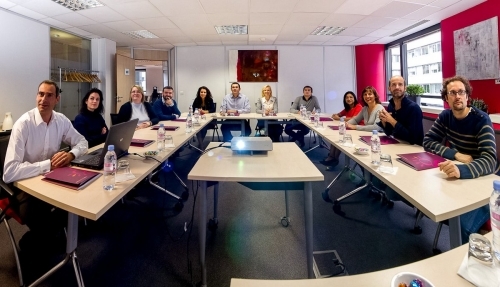 The Emergence team is ready to organize your day and make you benefit from our catering suppliers (traiteurs, brasseries, restaurants...) and equipments (videoconference, overhead projectors, broadband internet acces...). NEW PRICE GRID FOR EMERGENCE IN 2014! We have adjusted our prices to suit every budget and we propose interesting packages for meeting-rooms, part-time equipped offices…We also provide a wide range of tailor made services. Moreover, we reward your loyalty as well as the frequency of your bookings at Emergence! 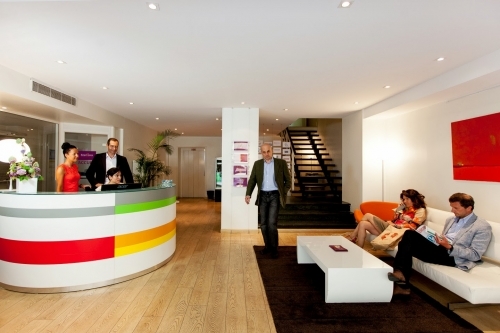 Ask for our price grid for: equipped offices, meeting-rooms and all other services! What message pass on to your contacts to bring a new customer in the business centers Emergence? "I want to recommend you the services business centers of Paris Opera and Boulogne. Their job? Equipped offices, meeting rooms rental (short or long-term), domiciliation. The team is friendly and efficient. Thanks to my sponsor, one month's rent will be offered for any one year contract and coming from me." If you bring a new customer, we reward you greatly! Your godchild will also benefit from attractiveprices on the chosen solution! New Co-working offices at Emergence! 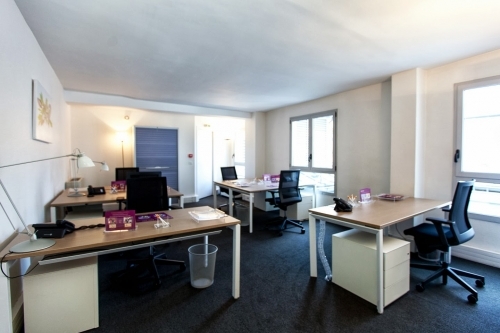 Our co-working spaces are shared by differents kinds of entreprises. It is place that enables commercial people, mobile people and business creators to have a " plug and work" very flexible solution. Equipment's and services - Flexibility: Internet wifi abroad band connection, telephone line and access to fax, copy machine and scan as well as all secretary services. It is also and mainly a placee to share experiences and ideas, a dynamic and motivating place to develop your activity without being on you own. Come to visit our new co-working spaces and ask for our price grid! You might already know our conferences rooms or you might ever come? Our offer discovery "Winter 2014" will allow you to come and enjoy our spaces. 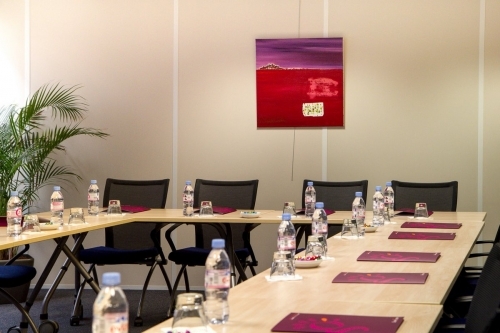 You benefit 15% off public fares of meeting rooms in the business centers Emergence of Boulogne and Paris Opera. Cocktail at Louvre Focus Group on the 3rd of February 2014! You were many of our clients, providers and friends to participate in the cocktail we organized on the 3rd of February. You were able to discover or rediscover our new interview room with its back room, our professional kitchen and the extended Chinon’s back room. It also was an opportunity to meet other professionals and discuss of future projects. We are looking forward to seeing you soon at Louvre Focus Group!